Jim & Pam Brower " The Husband & Wife Duo"! Dedicated to Excellence! With over 20 years of experience, including Residential Development, we are here to help with all your Real Estate needs! Together we have built over 25 Homes. We have been Mountain Area Residents for over 18 years. We pride ourselves on our high standards of ethics & professionalism!!! We're long standing members of the Califorina Association of Realtors and the National Association of Realtors. 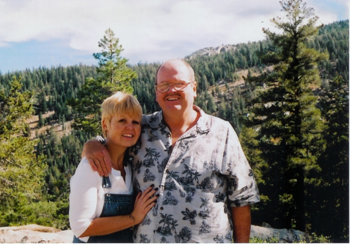 Pam is a member of the Yosemite Gateway Association of Realtors and the Madera Association of Realtors. Jim is a member of the Madera Association of Realtors. We specialize in Foothill and Ranch land and Residential Properties! We serve between the area between the City of Madera and the foothills, and all of Coarsegold, Indian Lakes, Yosemite Lakes Park, Oakhurst, Bass Lake, Ahwahnee, Mariposa and Yosemite.